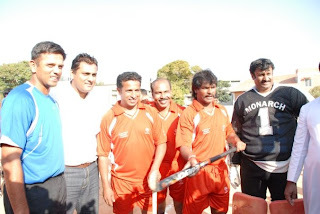 Hockey Association of Navi Mumbai And One Warriors presents the NAVI MUMBAI HOCKEY CUP-2011. 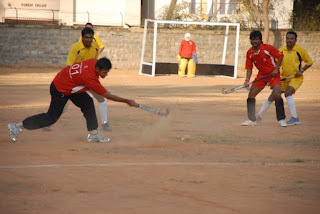 "ONE WARRIORS" is a group of young hockey players in Nerul, Navi Mumbai. Very Enthusiastic and Die Hard LOVERS of this game. Selective Eight teams were invited in this event. The tournament started with league system, eight teams divided within two pools of four each and the BEST TEAM met in Finals. Pool B- Warriors A (Ambarnath)were in finals. The match was a spectacular view for the audience, Tough, Rough and Fast. It also got heated up with few sticks flying.. But the matter was settled.. Both the teams ended in a draw of 2 goals, and the results were taken forward in Penalties to be decided. Both the teams kept scoring and chasing each other. Finally, GREEN ROCK were declared the "WINNERS" in SUDDEN DEATH penalties. The Man of the Finals took a Trophy. We THANK all our sponsors, who help us in all the ways, and the students who worked day and night to Conduct and Execute such a tournament. Finally we thank All the Players and Staff, without whom the event wouldn't had been a sucess. The Jude Felix Hockey Academy (JFHA), Charitable Trust (Regd. ),affiliated to Karnataka State hockey Association, is a non profit organization started in January 2009 by Former Internationals and national players to promote the game of Hockey amongst the under-privileged children in our country at large and develop new talent for the game. 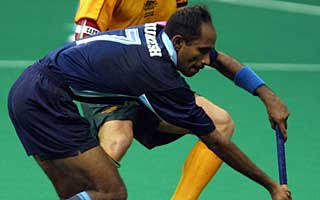 Jude Felix is an Arjuna Awardee, Olympian and former Captain of the Indian National Hockey Team. He proudly served the national team for more than a decade. The coaches for the program are drawn from former national and international players who come with tremendous skills, commitment and sensitivity towards this unique program. * Helps develop life-skills such as discipline, decision-making, problem solving, critical thinking, self-awareness, coping with stress and emotions. * Regular hockey training for the children on week days from 6:00am to 7:00am.Saturday 2:45 pm to 4:45 pm and Sunday 6:30am to 8:30 am. * We had started with biscuits as diet after the training and later along with bananas. From October we have included eggs also. * Medreich Ltd, pharmaceutical company from Maruthi Sevanagar, having a charitable hospital have extended free medical support for the Academy children. * Kelly School of Business, Indiana University, U S, had interacted with the children at the Orphanage ground during the month of August 2009. * We had sent seven boys from the program for M E G Boys Company selections during November 2009. * There have been regular visits by former International Hockey players to train our children. * During December 2009 Singapore Recreational Club,Singapore visited the Academy and the Orphanage, participated in the tournament we conducted and donated sports equipments and stationary items to all the children of the orphanage. * In the month of March 2010 Four students from Singapore visited for a week and helped in creating data base of trainees and arranged the library in the Orphanage as part of their College project. * Our trainees have started representing their school Hockey from this year. * Our main focus is on life skills which is part of our daily training. * Once again on Aug 6 students from Kelley Scholl of Business visited our academy. * Our trainees are representing their School Maria Niketan in the Ongoing G S Randhawa memorial Hockey tournament for schools being played at KSHA stadium Bangalore. Till date we have been managing the program, with contributions or donations from friends and well wishers. Income Tax Department (Govt. of India) has permitted us, tax exemptions under 12A and 80G (Tax exemptions for donors). Sports & Education for a better future! Helping others to help themselves is our device! Indian National player and FIH player Sardar Singh is the new ambassador of the village!! Hockey is India’s national sport – even if Cricket became much more popular over the years. 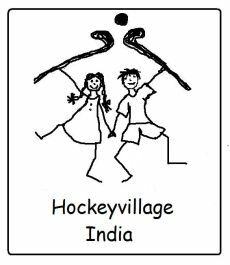 If you look at Indian villages you can see why – 20 kids can play cricket with a ball and a piece of wood while you need 20 sticks to make them play hockey. Talking about international level India is running behind his glorious hockey past – the country has hardly any astro turfs and at the top of the hockey country 2 associations are fighting for the rulership – ignoring that all is about sports – not politicians… But nevertheless we know from our own experience as sportsmen how amazing it is to be part of a sports team – to have the sportsmen spirit – the team spirit! To fight together – for eachother, to win and sometimes even loose… What makes you more happy then winning an important match? Sportsmen know that! How good does it feel to achieve something – for yourselve and for the team – to fight for a common target – to go to your limits and with discipline and self motivation get better and better – these are important values in life and sport can teach us. Just like education we are more then ready to share our experiences – and if you see the twinkling eyes of a child and its proud when it scores its first goal, there are no more questions to ask! 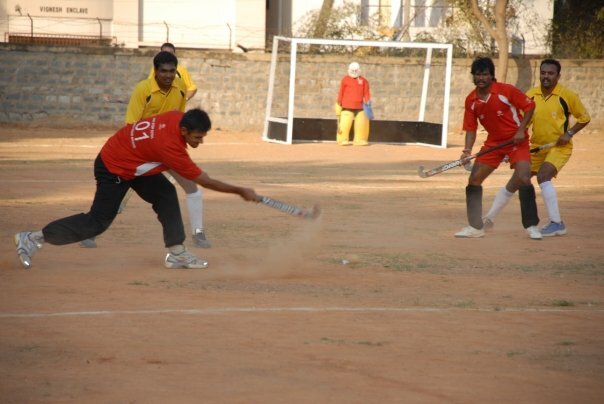 ESPN-STAR Sports to show exciting new format as the T20 of hockey, known as Hockey 9’s! 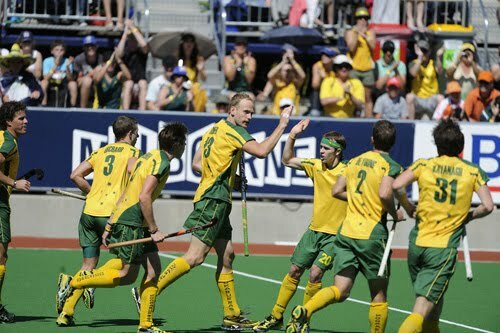 Hockey Australia is excited to announce that Indian fans will be able to watch their two national teams in action at the upcoming Lanco International Super Series as the tournament will be broadcast LIVE on ESPN-STAR SPORTS, from October 20th to 23rd, 2011. The Lanco International Super Series is a newly created tournament, which has a revolutionary new format and new rules to make the game faster and more exciting – it will be hockey like you’ve never seen before! Think the T20 of hockey, known as Hockey 9’s! The matches can be watched anywhere in the world via the Hockey Australia website - www.hockey.org.au . Bharat Chetri the new captain for Indian Hockey team..
Bharat Chetri, India's goalkeeper, was announced the captain of the Indian hockey team which tours Australia next month. 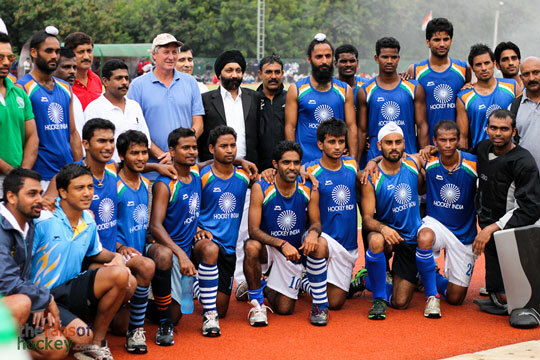 The squad that was announced on Thursday also includes tainted duo Sandeep Singh and Sardara Singh. In an attempt to rotate players and provide equal opportunities, the squad has been shuffled to accommodate fit players and divide responsibilities. This will be 27-year-old Chetri's first stint as captain. Experienced midfielder Ignace Tirkey has been appointed as the vice-captain. Former skipper Rajpal will continue to be part of the forward line which includes youngsters like Yuvraj Walimiki, Gurvinder Singh Chandi, Danish Mujtaba and Sarvanjit Singh who impressed tremendously with their performance in the recently concluded Asian Champions Trophy in China. Arjun Halappa, Tushar Khandker and Bharat Chikara make a comeback after injuries forced them out of action in the recent past. Also in the side are Sandeep and Sardara who will look to make most of the opportunity after HI decided to revoke the two-year ban they were handed for indiscipline. PR Sreejesh will be the second goalkeeper in the 22-member squad. On the tour to Australia, the Indian team is scheduled to play a four-nation nine-a-side International Super Series and a tri-series with Pakistan and Australia. Olympian Mukesh Kumar has been appointed coach of the Indian national hockey team and will be a part of head coach Michael Nobb's team, Hockey India announced on Wednesday. Kumar, who was recently in news for walking out of a national camp after being denied charge of the junior team will take over his duties from Thursday, HI secretary general Narinder Batra said. "Mukesh has been appointed as a coach of the senior men's team. He will be a part of the coach's set-up engaged with the team under chief coach Nobbs," Batra said. Batra also said the duration of the Padma Bhushan recipient has not been worked out. "It has not yet been finalised. It depends on the chief coach's wish because as per Nobbs' contract he also has to train our Indian coaches." Kumar had recently walked out of the national camp in Bangalore after realizing that he was to work under then senior team coach Harendra Singh. The 41-year-old had earlier expressed his willingness to assist a foreign coach with the national team or be given complete charge of the junior side. "I always wanted to work under a foreign coach as his assistant. I was offered the coach's post of the women's team but I refused because I wanted to be a part of the men's set- up," he said. Mukesh represented India in three consecutive Olympics starting from 1992 Barcelona Games and scored 80 goals in 307 international appearances. The World Hockey Federation (FIH) might be crying foul, Hockey India might have been issuing warnings, but the players, it seems, are having none of it. The whole lot - both current and not-so-current, including the side that just won the Asian Champions Trophy in China recently - is believed to have signed on the dotted lines for the World Series Hockey (WSH), the inaugural edition of which is scheduled to run from December 15 to January 22. And why not? After all, they stand to gain in lakhs, not in thousands, considering the paltry Rs 25,000 that was offered to them by Hockey India for their title-winning effort in China. "A performing player can earn up to Rs 40 lakh per WSH season, including incentives and prize money. Our aim is to make hockey a lucrative career option. Rs 40 lakh for playing just two months in a year isn't bad, is it?" asks Yannick Colaco, COO, Nimbus Sport, who are the joint promoters of the event along with the Indian Hockey Federation. The WSH will be a franchise-based multi-city event with players to be acquired through the draft system, like in the NBA. "The players will be graded as per current reputation and form, but there will be no difference in pay between Indian and foreign players. 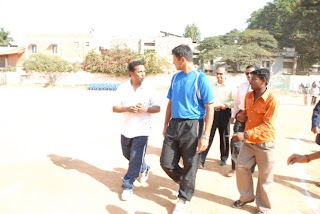 All players will get equal opportunities, the incentives are the same for all, but star players will obviously earn more," said Colaco . On the FIH's ban threat, he said all the players had signed the contracts before March 31, which was the deadline set by the world body. "We don't believe that the FIH has the right to ban any player for playing in WSH, whether they sign with us before or after March 31. 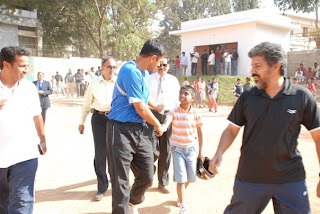 However, given that all players have signed with us before March, the ban threat is anyway irrelevant," Colaco added. He, however, expressed surprise over the stand taken by HI. "If they really care about the well-being of players, they should support WSH. More than anyone, it's the players who stand to gain the maximum. It's about their financial security. I see no reason why Hockey India should see red," he said. Continuing unbeaten streak at the tournament, India beat arch-rivals Pakistan 4-2 on penalties in the Final of the inaugural Asian Champions Trophy (Men’s) in Ordos, China. Both teams played an attacking game but failed to find the target in stipulated time of 70 minutes and extra time of 15 minute, and result of the match had to be decided by penalties. Pakistan reached the final after drawing with India in the final round robin match and were leaders in the final points table with 10 point while unbeaten India were second 9 points. 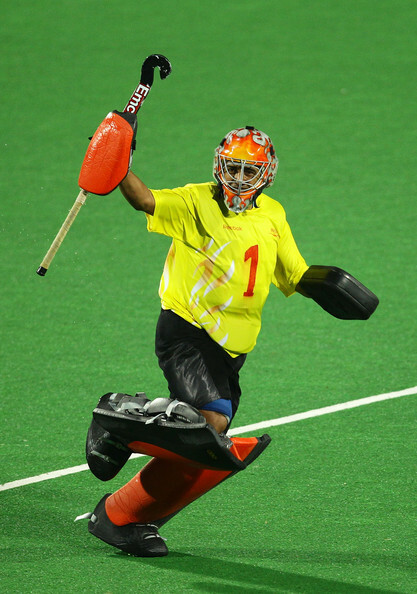 In the tie breaker, Rajpal Singh, Danish Mujtaba, Yuvraj Walmiki and Sarvanjit Singh, while Gurvinder Singh Chandi could not score in his attempt on Pakistan’s Goalie Imran Shah. The tie-breaker was a one on one between the striker and the goalkeeper, Striker had to starts from the 23 meter line and was given only eight seconds to score. This way of tie-breaker is known as Penalty Shoot-out and it is in testing phase by FIH. Dennis Meredith, former director of competitions in the FIH, has been nominated as the Technical Director for the World Series of Hockey (WSH) to be held from December 15 to January 22. Adelaide based Dennis, a former player, umpire, and administrator, was the technical director in the New Delhi Commonwealth Games, and played a leading role in the conduct of the World Cup earlier. He has also been advisor on technical matters in various competitions, including the Olympic Games, Champions Trophy and World Cup. In the WSH, Dennis Meredith will be responsible planning and structuring of all the technical aspects in conformity with the international regulations and rules. He will also be in charge of staffing and a liaison with the technical committee. “I am proud to be associated with World Series Hockey and am looking forward to the inaugural multi city franchise-based League. My association with India has been ongoing since I first visited as an umpire in 1982 and since then have worked and overseen multiple large scale hockey projects here. The League has a lot to offer to the players and the hockey enthusiasts and I am extremely confident of its success” said Dennis. On the final day of the women's GANT EuroHockey Championship 2011, the Netherlands won the final against Germany, England defeated Spain for Bronze, and Belgium and Ireland logged wins to send Azerbaijan and Italy in Europe's second division for 2013. Kim Lammers of the Dutch team won the topscorer award, while German superstar Natascha Keller was elected Most Valuable Player. The grand final of the tournament started with brilliant sunshine and a well filled stadium, with equal parts of the crowd supporting record and current title holder the Netherlands and the German hosts. The Dutch imposed themselves early, taking control of the game and scoring their first after 8 minutes when Marilyn Agliotti deflected a penalty corner flick into the net with a mid air swing. In a lively game, the ball went back and forth but the Dutch looked more dangerous than the Germans who struggled to find their way past Oranje's defenders. Ten minutes later, Ellen Hoog extended the lead to two goals with a fierce reverse stick shot from the top of the circle. During the remaining ten minutes in the first half, both sides had their opportunities, including short corners at both ends, but neither side could find the goal, and they went into halftime with a two goal advantage for the Netherlands. The Dutch remained the dominating team in the second half, despite a solid performance from and some good opportunities for the German side. Yvonne Frank in the German goal put forward some great saves to ward off more Dutch goals, but she eventually could not avoid Lidewij Welten scoring a third goal for Oranje from a penalty corner rebound in the dying minutes of the match, and with dark clouds having moved in fast again, with less than 2 minutes on the clock, the skies opened up and the girls in orange danced in torrential rain and hail to celebrate another, entirely deserved European Champion title.